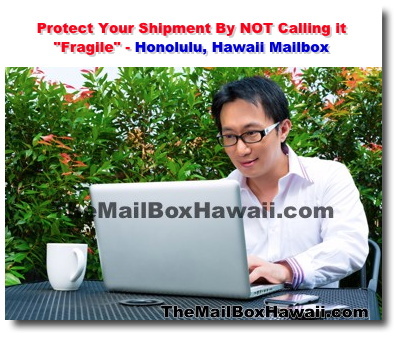 Protect Your Shipment By NOT Calling it "Fragile"
While this might seem counter intuitive, the magazine "Popular Mechanics" did a test back in 2010 which revealed that writing "Fragile" on the box may result in even rougher handling. 1. Consider putting your first box inside a second, larger box, plus a few more inches of cushioning around the interior. Your cost might go up but the protection might be worth it. 2. Before you seal the box, enclose an extra label or the address and contact information of both the shipper and recipient just in case the outside label gets damaged. 3. Do not use Masking Tape or Duct Tape. Instead use pressure-sensitive tape, or a 60-pound-grade water-activated tape that's at least 2 inches wide. 4. Cushion your package. Wrap each item individually (minimum of 2 inches on all sides). Also, make sure to place it least 2 inches from the walls of the box. Fill any voids with even more cushioning.